Use the SVEX-M1 stainless steel camera housing mounting bracket to wall mount your explosion proof camera to just about any surface that will securely hold screws for the mount. It is rated for holding up to 50 KG (approximately 110 pounds). This is just one of several different camera mounts available from Security Camera King. 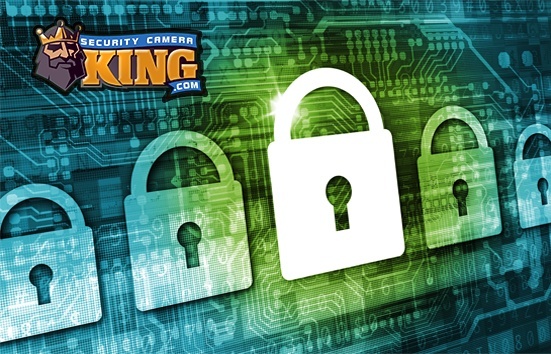 Actually, Security Camera King offers several different types of camera housing mounting brackets including two more for explosion proof cameras. The first is product# SVEX-M15 which is a heavy duty stainless steel surveillance camera wall mounting bracket. This stainless steel wall mounting bracket is solid steel and weighs 3 KG (about 6.6 pounds) and can support a load of up to 100 Kg (approximately 220 pounds)! Also weighing in at the heavy weight level is Security Camera King’s product# SVEX-M25 stainless steel surveillance camera wall mounting bracket. This bracket’s actual weight is 8.6 Kg or just shy of 19 pounds and it is also strong enough to support up to 100 Kg (220 pounds). 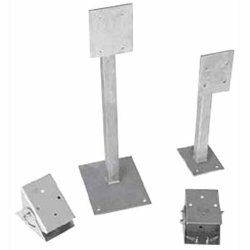 These three stainless steel camera housing mounting brackets are designed for use with explosion proof camera housings in explosion proof environments. That doesn’t necessarily mean that they could withstand the forces of an explosion, but rather, they are air tight so that when used around volatile flammable gases, their electronic systems are enclosed in such a manner as to NOT cause ambient flammable gases to ignite. Just the same, even if an explosion would occur, depending on the proximity and type, these cameras can withstand a lot more of the forces that a standard camera enclosure. In addition to the SVEX-M1 Stainless Steel Camera Housing Mounting Bracket, Security Camera King offers many other mounting brackets as well, including two outdoor camera housings that include the mount. Security Camera King’s Product# OUTDOOR_HOUSING features an all metal, rugged housing for protecting box cameras used outdoors. Product# OUTDOOR-HEATED_HOUSING is basically the same housing mentioned above (Product# OUTDOOR_HOUSING) but includes a heater and blower for use in extremely cold climates. The heater and blower prevent freezing which also leads to condensation on the inside of the viewing window and even the camera lens. Security Camera King also has “standard” mounting brackets as well. For example Product# CP-106 is a standard adjustable mount suitable for use with standard box type cameras or outdoor camera housings. The design of this mount allows the use of the mount as a ceiling or wall mount. Another type of mount offered by Security Camera King is the Pole Adaptor for PTZ surveillance cameras. Product# SVM-POLE takes the hassle out of securing a camera to a pole. Two metal bands are included with the mount. All that is required is that the bands be tightened to the pole and the PTZ dome camera can be mounted to the arm that protrudes away from the pole. Following in somewhat similar footsteps is Product# SVW-Corner, the Corner Mount for Dome and Surveillance Cameras. This mount makes utilizing the corner of a building structure easy. There are many other types of housings/mounts available form Security Camera King in addition to the SVEX-M1 Stainless Steel Mounting Bracket Camera Housing. Instead of listing all of them here, you can see them on our web page at http://www.securitycameraking.com/surveillance-camera-mounting-brackets-189-ctg.html or by clicking on the left side of the page, “Security Equipment” then “Security Camera Accessories” and finally “Surveillance Camera Mounting Brackets. If you have any additional questions or concerns about the SVEX-M1 Stainless Steel Camera Housing Mounting Bracket please contact one of our security specialists at 866-573-8878 or by our on-line Live Chat service.